Since that chance meeting the pair have formed a bond envious to many where the ‘Big Brother’ relationship now sees the pairing as one of the most powerful and respected Sprintcar teams in Australia. – Dyson Motorsport. 21 year Carson Macedo is the final driver to be introduced to Australian Speedway fans that is included in the driver line-up to contest the contracted competition of the 2017-2018 World Series Sprintcars -SHOWTIME. 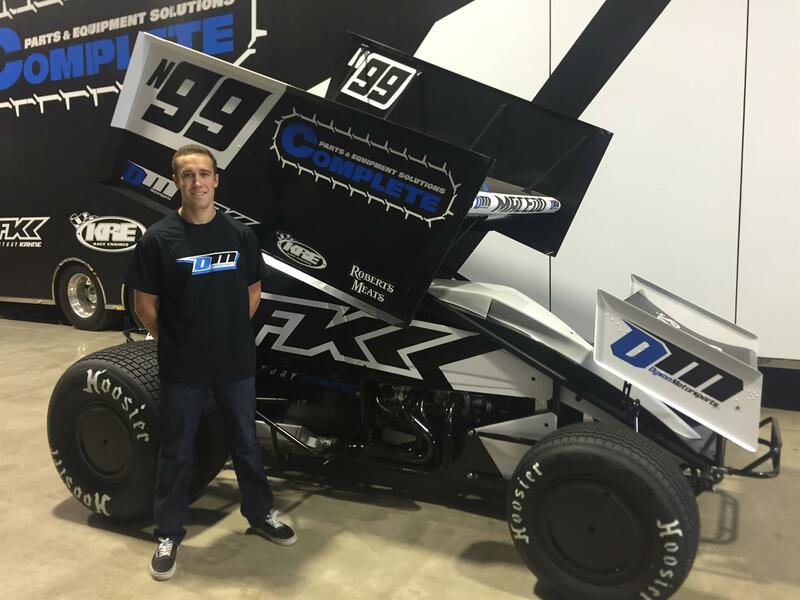 The young World of Outlaws driver who describes himself as ‘calm but driven’ is excited for the opportunity to race the full schedule of Australia’s toughest national sprintcar series in a team that provides top class equipment and an opportunity to excel. Carson, in his fifth race season of Sprintcar racing and recently scoring 4 wins from 5 starts, returns with fond memories of Australian competition, last season scoring a dramatic win at Avalon Raceway in the Presidents Cup over World Series Champion Driver James McFadden, a 2nd in the prelim of the Australian Open and a 4th in the main event. Dyson will also take on the role of Crew Chief in the team that is packing punch…. Reflection of Carson’s philosophy of always being ‘kind’ to people at Speedway meetings is pertinent to what is lectured during the Media and Marketing component of Speedway Australia’s Rising Star program. For our young competitors and in fact even our more mature drivers as well, you never know who that person is who is witnessing your behavior? Your behavior in the pits or on track may influence your next major sponsor or car owner, that person providing the opportunity for you to succeed in your chosen sport. The Dyson/Macedo relationship is a classic example.